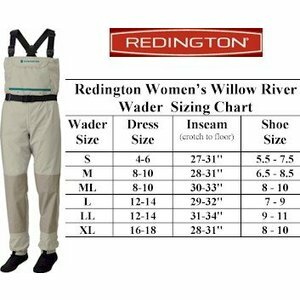 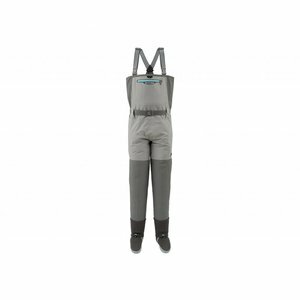 Redington’s premier women’s wader. 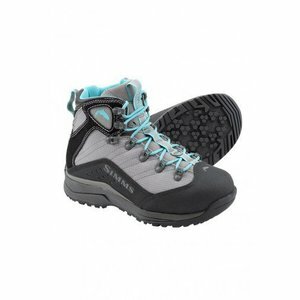 Offers women the comfort, fit and durability with feminine details to boot. 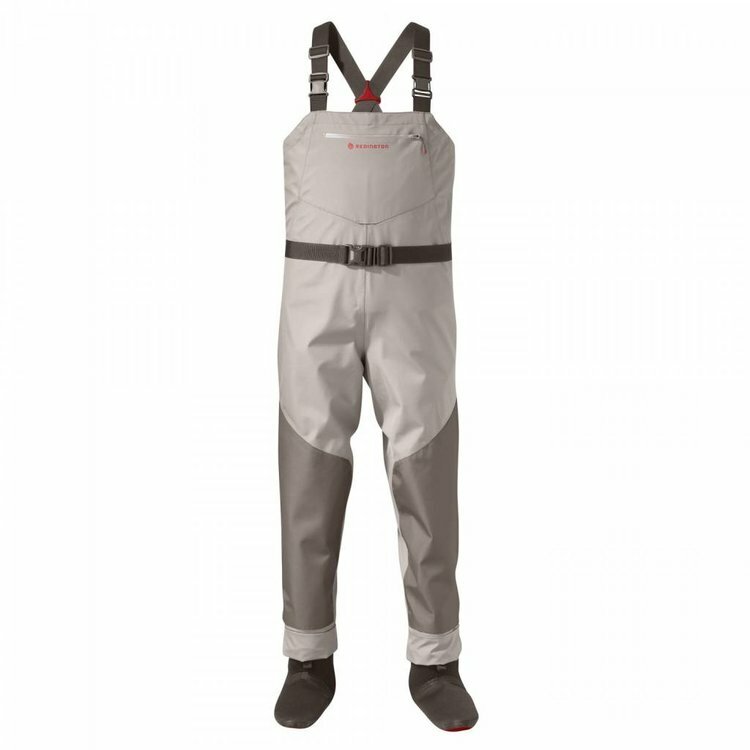 Features 100% nylon, 3-layer DWR coated wader fabric, opposing buckles for easy conversion to waist highs, high density neoprene booties, chest pocket with drain holes, flip-out pocket with YKK zipper, belt loops with included wading belt included, integrated gravel-guards, double layer-knee and comfortable fleece lined handwarmer pockets. 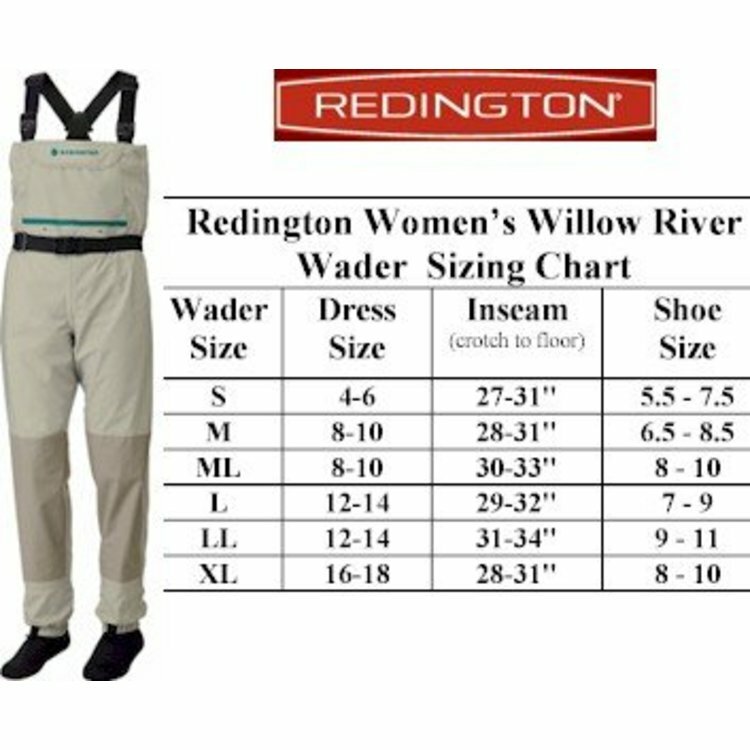 Available in 6 women’s sizes. A great value! 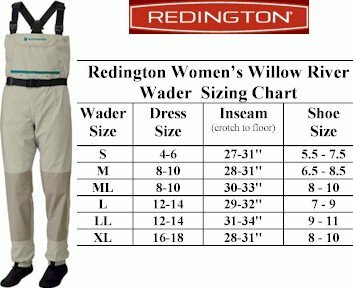 Please specify size.